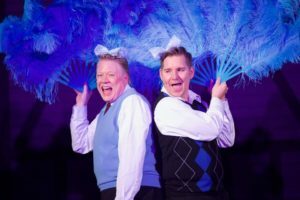 The cast, crew and volunteers at Kelowna Actors Studio were counting their blessings on Wednesday, November 29th as they opened their 19-show run of Irving Berlin’s White Christmas the Musical in front of a packed house. 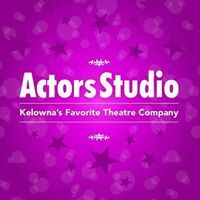 Wife Elaine and I were on hand as invited guests to take in opening night and get our first taste of Kelowna Actors Studio’s hospitality and stage presence. 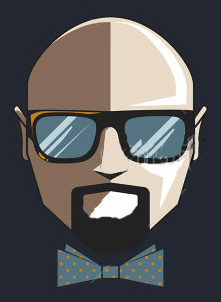 We thoroughly enjoyed the theatrical vibe, starting with dinner served at our front-row table and then more than two hours of live entertainment performed by home-grown talent. Two thumbs way up for the Okanagan’s only Licensed Dinner Theatre and Performing Arts School. 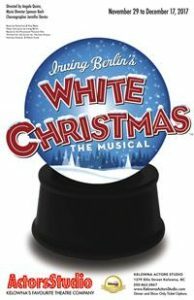 White Christmas the Musical is based on the beloved 1954 American romantic comedy film that featured 17 Irving Berlin songs and starred Bing Crosby, Danny Kaye, Rosemary Clooney, and Vera-Ellen. Well-known standards sung during the two musical acts were Blue Skies, I Love a Piano, Count Your Blessings, and White Christmas. The plot followed two Army Veterans, Bob Wallace and Phil Davis, who created a successful song-and-dance act after World War II. With romance in mind, the two meet and pursue two beautiful singing sisters, Betty and Judy Haynes, en route to their Christmas show at a Vermont lodge, which happened to be owned by Bob and Phil’s former commanding officer (Major General Henry Waverly). The KAS artists who admirably filled these fictional roles: Randy Leslie (as Bob Wallace), Nathan Flavel (as Phil Davis), Anna Jacyszyn (as Betty Haynes) and Sidney Cummings (as Judy Haynes). Not to be overlooked were Jason Casey (as Henry Waverly), Karen Shale (as Martha Watson), and Deslyn Bach (as Susan Waverly). Kudo also go to the rest of the ensemble, some of whom were so youthful that they had braces on their teeth. Behind-the-scene support was provided by Director Angela Quinn, Music Director Spencer Bach, Choreographer/Stage Manager Jennifer Davies, and Costume Designer Hazel Rodgers. 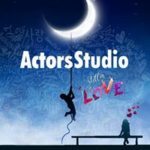 Over the past 15 years, 1,500 students have taken KAS classes and 175 of them have performed (or are currently rehearsing) in KAS main stage productions. Thirty-two of these students have gone on to pursue secondary education in the performing arts and into careers on the stage and screen. 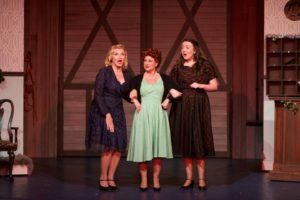 Big Finish – White Christmas the Musical will run from November 29 to December 17, 2017. 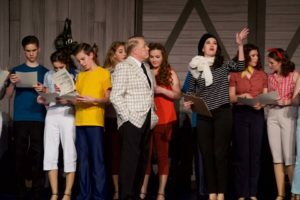 Performances are Wednesday through Sunday, with a matinee and evening show on Saturday. There are 90 dinner seats and 100 regular seats available inside the quaint venue.